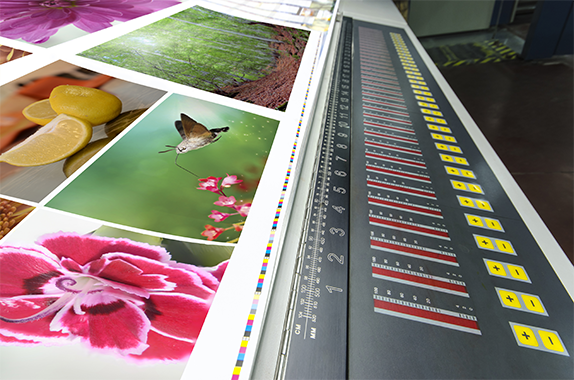 The pre-press process includes all operations prior to print a document. It is the starting point of the production process. Either our customers give us their own PDF files at 300 dpi minimum. We then handle the control and the imposition of their files. Or, they can ask us to manage the graphic design, layout, documents tidying up, … in our offices. 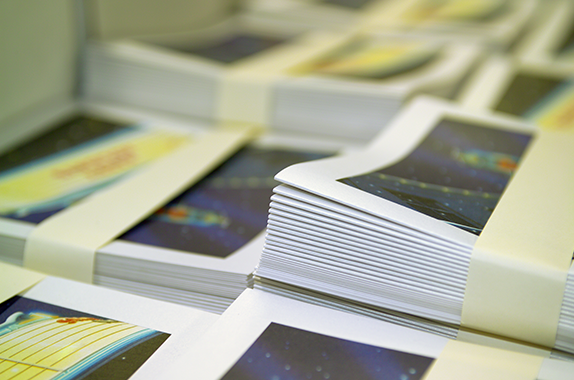 Once the pre-press process is done, it’s time to realize your project on paper. 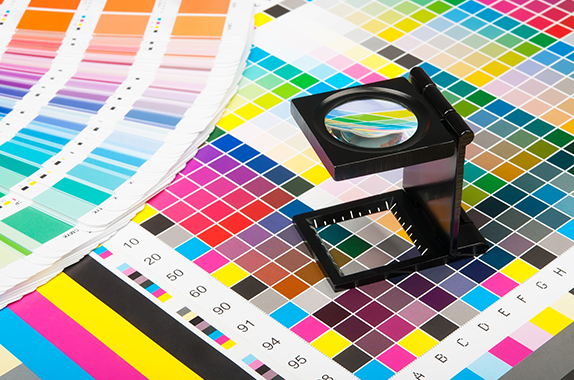 Our 24 printing units allow us to deal with large productions of all types and to distribute our workload on multiple shifts. We are able to work on papers of all types, up to 800 microns. Nous vous proposons également un service d'impression digital pour la production de vos documents en petites séries tant en papier que des posters, bâches, stands, lettrages de vitrines en grand format, lettrages sur véhicules. Toutes les finitions et la pose sur site sont assurés. Our finishing team is able to deal with any of your ideas! They finalize your jobs, add the extra shine and take care of the shipments.